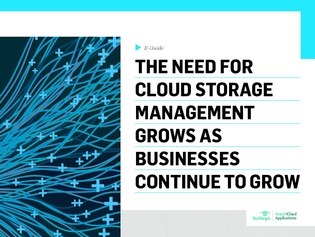 As businesses continue to grow and add new locations, the need for cloud storage management to share files efficiently and control versions becomes increasingly important. This is especially true for collaborative projects that span across various disparate work environments and where flexibility is of an utmost importance. In this expert guide, discover how Nelson, a global architectural design firm, was able to improve their overall management, security, and performance by replacing their on-premises SAN strategy with a distributed, shared cloud storage system. Read on and join George Crump as he explains how global file locking can help empower your remote collaboration ability and how it can play an integral role in facilitating a valuable cloud data management approach.